I am repeatedly asked for my advice regarding how to teach writing to grammar school-age children. Not only have I taught my own children how to write, but I have taught in co-op settings and privately tutored other homeschooled students. To fully answer the question, I will begin by repeating my opening remarks to each class or initial one-on-one tutoring session I’ve ever taught. Those who have something of value to say and say it well. Those who have something of value to say and say it poorly. Those who have nothing of value to say and say it well. Those who have nothing of value to say and say it poorly. I then let my students know that I have no interest in helping people who have nothing of value to say. From my point of view if they have nothing of value to say, I certainly don’t want to help them say it better — whichever category (3 or 4) they fall into. What do I mean by something of value to say? Simply put, the Gospel of Jesus Christ is the most valuable piece of information that can be imparted. Admittedly, not everything one is called to write will include the Gospel message, but ultimately, those with a biblical worldview, who understand that the law-word of God speaks to every area of life and thought, are those who have something of value to say. By implication, this means that if someone is going to communicate (either orally or by the written word), what they have to say, how they say it, why they say it, and when and where they choose to say it are all relevant questions needing to be answered. Now, back to the question of teaching writing. As children learn to read phonetically, writing out the words they learn and saying them aloud cements new words into their vocabulary. Likewise, as they are provided with challenging and worthwhile reading material, their vocabulary will increase. It is my opinion that young grammar school-age children should spend the majority of their time acquiring knowledge by being given a steady diet of “nutritious” books with ideas meant to stretch their understanding of the world in which God has placed them. In essence, this is increasing their arsenal of having something of value to say. Initially, evidence of concepts and ideas being absorbed will come in the form of comments, questions, or discussion. It is only when someone has something of value to say, that being able to articulate those ideas with the written word makes any sense at all. Otherwise, it just becomes an exercise in putting words on paper without the intent to communicate something of value. The homeschooling parent can assist by acting as a secretary taking dictation — writing what the child says orally — thereby helping the child see that writing is merely taking what one says and committing it to paper. Then, the parent can interject suggestions by applying the rules of grammar and syntax in order to have the child’s ideas put forth in a clearer and more coherent fashion. This helps the child see that writing is just another way to communicate. Once the parent has completed the dictation and suggested rephrasing and grammatical corrections, the child should take the paper and prepare a final copy in his best handwriting. Now, he has produced something worth reading, and you should seek a greater audience for it than just you and your child. 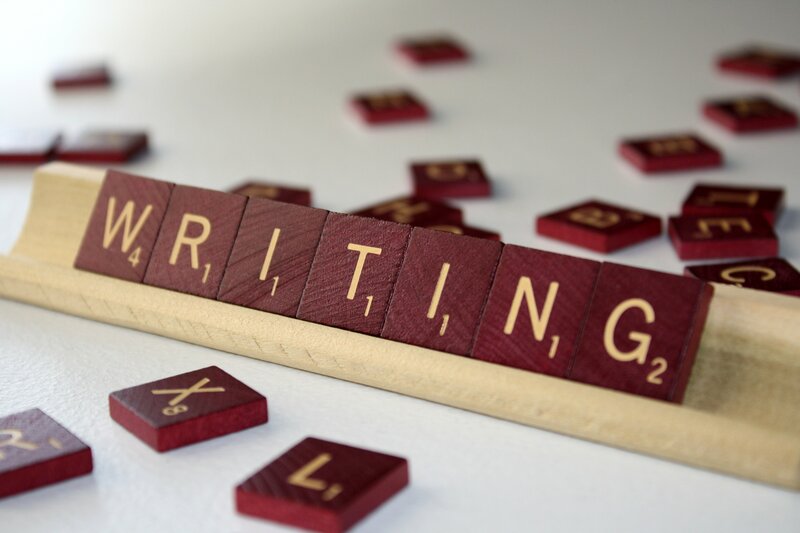 A couple of things will become apparent with this exercise: good writing takes effort, practice and time. Finding the correct words (a dictionary or thesaurus helps) and arranging them in such a way as to make their meaning clear is an activity that in the end produces a product worthy of someone’s attention and time investment. No one who enjoys talking should hate writing. If a child has been being taught that he has been put in this world to glorify God and enjoy Him forever (answer to the first question of the Westminster Shorter Catechism), and additionally knows that he has been privileged to take part in sharing the good news of Jesus Christ with those he comes in contact, it follows that he should strive to fulfill that commission the best way possible. Writing will then be an opportunity to let others know what he believes, rather than just an assignment that has to get done. If you find that your child has difficulty with dictating to you (can’t really think of anything to say on any topic), then I suggest you have him copy portions of good literature or Bible passages as a way to train his ear how to write well. Afterwards, you can dictate the portion or passage back to him and have him write it as you say it. This process helps create a pathway that enables the student to realize that writing is what the authors of his favorite books did in order for him to have the opportunity to receive and appreciate their ideas. There are many opportunities in life for kids to write: letters to family and friends, “reviews” of books or movies they’ve enjoyed, and summaries of topics learned in history or literature. Or, for those who need a little more incentive: If your student seeks permission to buy something or go somewhere, inform him that he needs to put the request in writing in a clear manner before you will even entertain the idea at all. This might spur a reluctant writer to overcome the hurdles to acquire a greater proficiency in persuasive writing, in order to get what he wants! The homeschooling teacher need not stress over this process. Some children will take to this sooner than others. It’s like walking and potty training: We care more that it happens rather than when it happens, just so long as it eventually happens. The important part is to continually provide material that enables your student to have more to talk and think about. Help him get to the point where he knows he is able to bring ideas and opinions to the conversations of life — something of value to say — and with your help, the ability to say it well.